2 courses Zoology 101 or 237 and either Biology 250 (preferable, but acceptable only in conjunction with Zoology 101) or Botany 130. A one-semester general biology survey course, and anatomy, physiology, and microbiology do not count toward this requirement. * UW Colleges are UW-Baraboo, UW-Barron County (Rice Lake), UW- Fond du Lac, UW-Fox Valley (Menash a), UW-Manitowoc, UW-Marathon Co unty (Wausau), UW-Marinette, UW-Marshfield, UW-Richland Center, UW -Rock County (Janesville), UW-She boygan, UW-Washington County (Wes t Bend), and UW-Waukesha. ** All of the requirements on this sheet are requirements for the major. The Associate of Arts & Science degree from a UW College does not automatically fulfill all pre-Pharmacology-Toxicology course requirements and non-major curriculum graduation requirements. *** Non-native English speakers must take the UW-Madison English as a Second Language Assessment Test (ESLAT). Transfer credit for English 102 will be awarded only if the student demonstrates the required level of English proficiency. 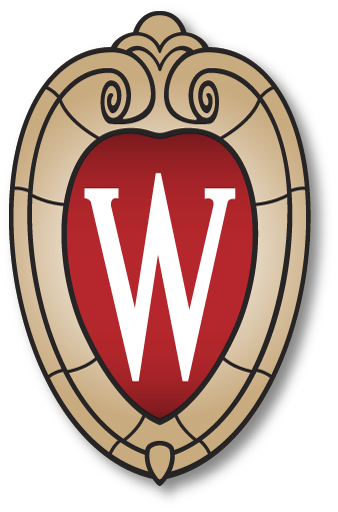 * Pre-BS-Pharmacology – Toxicology students may wish to include in their preparatory course work, if there is time/space, some of the non-major curriculum graduation requirements: the UW-Madison Communication “B” requirement, 6 credits of humanities electives, Physics II and 3 credits of ethnic studies. An ethnic studies course will count also as social studies or humanities, if the course qualifies as such. Non-major curriculum graduation requirements that are not completed prior to enrollment in the School of Pharmacy must be completed prior to graduation. Please contact the School o f Pharmacy Admissions office for Communication “B” specifics and guidelines. Note: Credit by exam will be granted only in accordance with UW-Madison policies . If students have been granted credit by another college or university for College Board Advanced Placement (AP) exams , College Level Examination Program (CLEP) exams , or International Baccalaureate (IB) exams , it is imperative that they be aware of the UW-Madison credit policies. This applies also to retroactive foreign language credits . Students should not assume that these types of credits that may have been granted by another college or university will be accepted by UW-Madison.